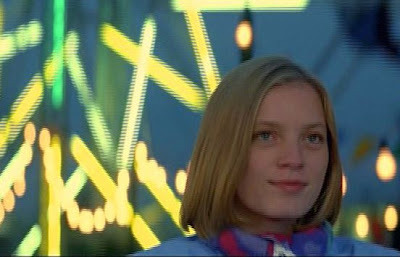 The Sweet Hereafter (1997) was generally hailed by critics upon it release as a multilayered examination of grief, anger, and blame in the face of tragic circumstances. Yes, it is that, but I would hold that this outstanding film has implications that penetrate further and deeper into how we account for and organize our lives. In fact this film raises issues about the very nature of narrative, itself, and the way it underpins our understanding of the world. The Armenian Canadian director and scriptwriter Atom Egoyan is known for his highly original and challenging productions, and this film is generally regarded as his finest achievement to date. 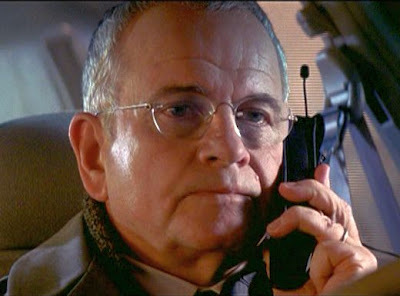 The acting performances are all superb, particularly that of Ian Holm in the role of the visiting lawyer. 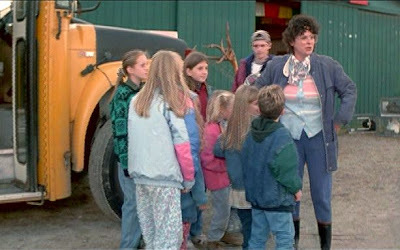 The story is based on the 1991 novel by Russell Banks about a tragic school bus accident in a small, rural town in upstate New York that resulted in the deaths of roughly twenty schoolchildren. That novel, in turn, was based on a real event, a 1989 bus crash in Texas that killed twenty children and led to massive litigation, out of which the participating lawyers earned roughly $50 million in fees. Egoyan’s rendering of the story, which was made with the cooperation of Banks, involved some changes in the narrative that Banks conceded actually improved upon the novel. In the film, presumably now set in Canada, much of the plot concerns the activities of a big-city lawyer, Mitchell Stephens, who has come to the town in the aftermath of the tragedy in order to represent the parents who have lost their children. The accident involved a school bus going off a mountain road and tumbling down a ravine before falling into a lake or quarry. Some of the parents are so overcome with grief that they are unwilling to pursue legal remedies. The bus driver, Doloros, was a local woman, after all, and they accept that it was an accident. But from Stephens’s perspective, there are no accidents – there is always a cause behind every event. He reminds the parents that Doloros had driven that road hundreds of times and never had an accident before. This time there must have been somethi ng different: something wrong with the road, or the guardrail, or the bus. It is incumbent on everyone, Stephens tells them, to help identify that cause behind this tragedy and make those responsible pay the consequences. From his point of view, it’s always a case of some heartless person who has “cost-accounted the difference between a ten-cent bolt and a million-dollar out-of-court settlement and has decided to sacrifice a few lives for the difference.” Stephens also has his own personal reasons for identifying with the parents who have lost their children. He has lost his own grownup daughter to drug addiction, and he is wrestling with his own personal demons concerning what he should have done to avert that disaster. The story circumstances sound basically straightforward, but this film narrative is complex. It is told in a highly nonlinear fashion – multiple threads told in multiple flashbacks and out of sequence that challenge the viewer to make sense of each of the scenes. As Stephens is trying to find out what happened and identify the fatal cause, the viewer is simultaneously trying to piece together the individual, fragmented scenes and figure out where they belong in the temporal sequence and what they mean to the overall story. Mitchell Stephens, the lawyer. 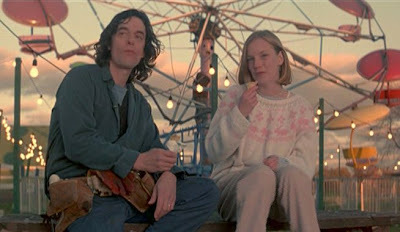 His distressed daughter, Zoe, occasionally makes collect telephone calls to him from remote urban locations (pe ople in the background are driving cars with steering wheels on the right-hand side) during the film. 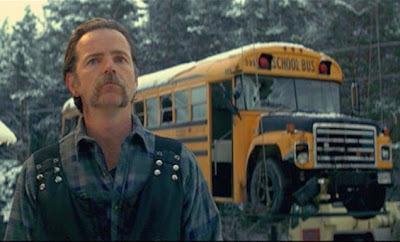 Doloros Driscoll, the bus driver. Her wheelchair-bound husband has suffered from a stroke and his incoherent speech is comprehensible only to her. Billy Ansel owns a local automotive garage. His wife has recently died of cancer, and his two young twins die in the accident. Nichole Burnell is a high-school girl who is left paralyzed from the waist down from the accident. She was having an incestuous relationship with her father, Sam, prior to the tragedy. She is the babysitter for Billy Ansel’s twins. Risa and Wendell Walker own the Bide-a-While Motel in the town. Their son Sean dies in the accident. Risa is having an affair with Billy Ansel. Hartley and Wanda Otto (who is played by Egoyan’s wife, Arsinée Khanjian) are crafts people, and their adopted son, Bear, is killed in the accident. (1a) Billy Ansel, driving behind the school bus in his SUV towards school in the morning, uses his cell phone to arrange to have a tryst with Risa Walker that night. (1b) Nichole sings country songs with a band at the local fairground, while her father, Sam, watches. The two of them then observe Doloros drive the school bus up and deliver schoolchildren to the fairground. (1c) Billy and Risa meet that evening in a spare motel room and make love. (1d) During the time that evening when Billy is with Risa, Nichole babysits Billy’s twins and reads to them fairy tale, Robert Browning’s poem, "The Pied Piper of Hamelin". (1e) After Billy comes home, he gives some of his late wife’s old clothes to Nichole before she is picked up by her father. (1f) Nichole then has her own incestuous tryst in a barn with her father. (2) The Day of the Accident. Billy Ansel is again following the school bus in his SUV up a hilly incline. He watches in horror, as the bus slides off the icy road and ultimately sinks into the water. (3) The Immediately Following Days. Mitchell Stephens arrives in town and interviews the involved families, seeking to represent them in the litigation. The Walkers, the Ottos, and the Burnells apparently agree to have Stephens represent them, but Billy Ansel angrily refuses and expresses concerns about what the lawsuit will do to the fabric of the community. Mitchell Stephens learns from a telephone conversation with his daughter that she is now HIV-positive. (4) The Depositions at the Community Center Some Days Later. Doloros testifies before opposing lawyers at the local community center as to what she recollects happened on the day of the accident. After Billy Ansel’s unsuccessful attempts to dissuade the Burnells, Nichole also testifies at the community center. After Nichole’s testimony, the case is dropped. (5) A Plane Trip Two Years Later. (5a) Mitchell Stephens meets and converses with a childhood friend of his daughter, Zoe, on the plane. (5b) During their conversation he recounts a harrowing experience he had when trying to save his daughter’s life roughly twenty-five years earlier. This story-within-a-story is effectively another, earlier time period. (5c) After landing, Stephens is surprised to see Doloros Driscoll (they make brief, ambiguous eye contact) and to observe that she is now happily operating an airport shuttle service. The lawyer, Mitchell Stephens, is an objectivist who wants to believe that the world is rationally understandable in terms of mechanical causes. For him everything has a cause, and if the causes of bad consequences can be avoided, the future is controllable. On the plane two years after the accident, he recounts to Zoe’s friend the time that he had to rush his baby daughter to the hospital after she had been bitten by a black widow spider. He was faced at that moment with the likelihood of having to perform an emergency tracheotomy, a medical procedure he knew nothing about, by cutting into his daughter’s neck with a penknife. This was the most traumatic moment of his life, because in the mechanical universe that founded his understanding, the causal responsibility for her fate came down to him – and he didn’t know if he possibly could do it. Similarly, his sense of personal responsibility led him to blame himself for his daughter’s later failures and his inability to rescue her from her self-destructive lifestyle. Nevertheless, he remains committed to his beliefs, and so with the bus-accident parents, he is convinced that he can identify the guilty parties and rescue the world, in a certain sense, from future tragedies of this kind. Risa Walker condemns her lover, Billy Ansel, for giving away his late wife’s old clothes to Nichole, implicitly suggesting that by disrespecting his wife’s memory, he had somehow challenged fate. There is an underlying implication there that their illicit affair, itself, was somehow a cause for celestial punishment. For his part, Billy Ansel does not want the litigation to proceed, publicly citing the potential damage it may have on the tight-knit community of the small town. But he has his own practical reasons for opposing the lawsuit, since he knows that an acrimonious legal case could lead to invasive investigations that could reveal his illicit love affair with Risa. Nichole Burnell is the most fatalistic of the characters and represents a counterpoint to the Stephens’s ultimately optimistic belief in human autonomy. She is also perhaps the ultimate extradiegetic narrative voice of the entire story. She sees herself trapped in narrative threads from which there is no escape, like the children of the Pied Piper. First of all, she has been seduced by her father into having an incestuous affair with him. Second, she had found herself sitting in the front seat of the bus on that fateful day helplessly watching the event transpire. So again it appeared that she had been seduced into a relentless narrative that had tragic consequences. And finally, Mitchell Stephens had seduced the parents into another narrative, this time a potentially lengthy legal nightmare. The third Pied Piper was upon them. Now a paraplegic and more helpless than ever, Nichole finally carries out an act of defiance at the deposition hearings and essentially kills the lawsuit by blaming the accident on Doloros for speeding on the icy road. Was she lying? Stephens and her father are certain she is, but they have vested interests in not wanting to believe that version of this story. Interestingly, the Pied Piper metaphor was not in the novel and was inserted by Atom Egoyan. This is a wonderful addition that greatly enhances the storytelling and elevates the tale to the philosophical plane. What really did happen at the time of the a ccident? Did a dog, which may have appeared in front of the bus, have something to do with it? Was Doloros actually speeding? Nichole, who always appears to be innocent, could be giving a straightforward account, or she could be lying. And if she was lying, was it to take revenge, save the town from further disruption, or was some other more esoteric form of gameplay at work? In the final analysis, The Sweet Hereafter calls into question our ability to live in objective narratives. It suggests that the narratives which explain our own worlds and to which we are captive are inevitably dependent on our local interactions and histories. When Mitchell Stephens tells to Zoe’s friend his experience twenty-five years earlier, trying to save his daughter’s life, he is once again reliving that narrative. He ends his story where it ends for him: that critical moment of fear and helplessness. But Zoe’s friend is vicariously living in a different, more conventional narrative: she wants to know what happened to Zoe. Stephens, responds absently, nothing – they had made it to the hospital without the need of the tracheotomy and Zoe had survived. For Zoe’s friend the story was about Zoe and what happened to her. But for Stephens, the story was as much about himself and his crisis of fear. "As you see her, two years later, I wonder if you realize something, I wonder if you understand that all of us, Doloros, me, the children who survived, the children who didn’t, that we’re all citizens of a different town now. A place with its own special rules, special laws, a town of people living in the sweet hereafter." 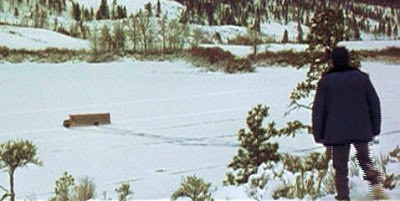 The final shot of the film returns to Nichole after she has finished reading the P ied Piper poem to Billy Ansel’s twins the night before the accident. She is seen from behind, walking down a hallway and standing before a dark window, behind which a bright light suddenly, mysteriously flashes up. That unexpected flash of light signals something ominous, but what? The light flash and Nichole’s resignation in the face of it leave us, as it would leave Mitchell Stephens, unsettled. And we reflect upon it long afterwards. Herman, David, Story Logic: Problems and Possibilities of Narrative, (2002) University of Nebraska Press, Lincoln, Nebraska USA. This was a very sad movie. I liked the location and the cinematography. The acting was great. One thing I did not understand, was why the lawsuit was dropped and what was the true cause of the accident. Why did she lie or did she? Brilliant film and interesting analysis. One point though: Nicholle was not "seduced into having an incestuous relationship with her father" - she was being sexually abused by him. For how long that abuse had been going on, we do not know. Thank you. Director Ergoyan has been rightfully criticized for depicting the incestuous father sympathetically, framing his sexual relationship with his young daughter as "consensual" rather than an incidence of child abuse. I, too found this quite disturbing. After watching the movie(twice,back to back) I still needed validation in how I was perceiving the intended meaning. And yes there is more than one view. It all ihe characters inrwined. And Zoe, now the lame one cannot follow the Piper off the cliff of revelations as it would totally disrupt everyone's lives. As if the loss of the children hadn't already. The implication of the "seduction" of Zoe by her father seems to disturb many including myself. But in actuality the victims of incestual abuse do become 'willing' or rather blindly emotionally entrapped in the abuse. That is a major factor in the 'guilt' felt by the victims- that they felt they willingly participated, although they were essentially brainwashed into it...very compelling plot. The theme of the Pied Piper was an excellent addition and really tied it together. I saw this film at the theaters when it initially came out and enjoyed it immensely. Then I saw last night that Amazon Prime had released it for viewing, and decided to revisit it and hash out some of the plot that left me wondering after viewing it at the theater. I would have thought the same thing about sexual abuse-that it is never consensual and only a situation that is one sided in terms of pleasure and participation. Then I saw various victims of sexual abuse on TV, and in documentaries, and found that sometimes the victims eventually consent to the abuse. Is it disgusting and wrong? Absolutely! In the beginning the victims were terrified and confused, particularly in situations where the abuse began at an early age. However the victims I am referring to said that it became pleasurable and they eventually looked forward to the encounters. It is really sad that it is not rare to meet a person who was sexually abused as a child in this day and age. Perhaps it was nearly as prevalent back 40 years plus and previously in time, but it is that no one talked about it so it was not widely known. Now sexual abuse is talked about quite openly. I just realized after typing the previous paragraphs that RyverWillow had already mentioned it before me, but I will still leave my comments up as they are a bit more detailed. @Erin- When I heard Nichole state at the deposition that the bus was going 72 miles an hour it was clear that she was lying. It is not possible for a large bus to travel at 72 miles an hour on a windy road in the snow. Maybe if the bus had started on a straight path and crashed in the first turn. But the father of the two children was following the bus and he would know that it wasn't the case. But if it were in fact true he might not come forward with the information, as it was previously mentioned that he was hiding his affair and possibly information about his skills as a mechanic. Great analysis; it really helped me love the movie even more. Now I can't wait to see it again!